Saint Mark’s Monastery, Jerusalem, № 169 mostly contains homilies in Garšūnī, but at the beginning (ff. 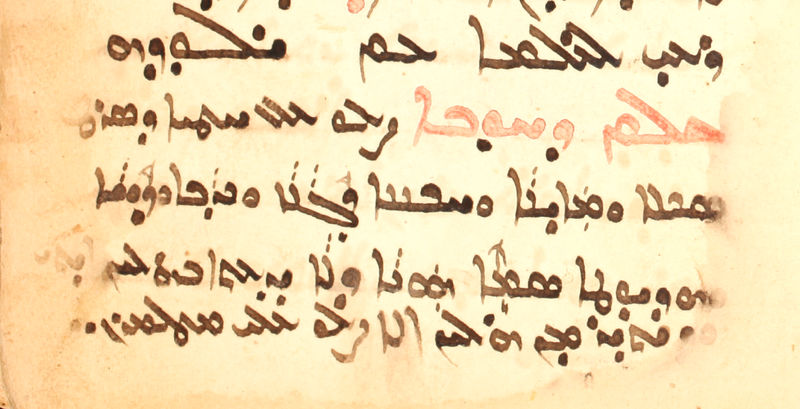 4v-8r) there is an excerpt, in Syriac, from the Chronicle of Michael the Great, book 11 of chapter 20, on the Council of Manazkert (or Manzikert; see here for other forms of the name) convened in 726 by Catholicos Yovhannēs Ōjnec’i the Philosopher with Syriac Orthodox Patriarch Athanasios III. The title is “On the Unity Effected by Patriarch Athanasios and Catholicos John of the Armenians against the Heresy of Maximos that has Spread Abroad, and the Negation of the Phrase ‘Who was crucified for us. '” Neither Michael nor the title Chronicle are specifically mentioned here, however. This manuscript was copied outside of Amid/Diyarbakır; the date in the colophon seems to be 1092 AG, which is certainly wrong and probably a mistake for 2092 AG, so May 1781. It is fairly well known that a council of Manazkert, referred to by a number of historians, was convened in 726, by the great Armenian Kat‘ołikos Yovhannēs Ōjnec‘i, also known as the Philosopher (Arm., իմաստասէր) in order to quiet this dispute and come to some sort of union with the Syrian Church. This council was attended by a number of Armenian bishops and six Syrian bishops to try to effect a union between the two churches, and particularly, to find some common ground whereby each might suppress the more radical branch of Monophysitism as practiced by followers of Julian of Halicarnassus, who maintained the incorruptibility of the body of Christ. The Armenian historians, Step‘annos Asołik, Samuēl Anec‘i, Step‘annos Ōrbelian, and Kirakos Ganiakec‘i do little more than mention the council at all and, like the other historians just mentioned, seems far more interested in the personal appearance of Ōjnec‘i, being enthralled with his elaborate garments and even more with his gold-speckled beard. Clearly then, this council left no real lasting impression in the Armenian church. As for Syriac sources on this council, as Mathews points out, Barhebraeus’ subsequent account (Chron. Eccl. 1.299-304) is based on that in Michael’s Chronicle, and there is also Dionysius b. Ṣalibi’s Against the Armenians. The bishop of Ḥarrān, Symeon of the Olives, associated with the Monastery of Mor Gabriel, attended the Council (cf. Brock “Fenqitho of the Monastery of Mor Gabriel in Tur ‘Abdin,” Ostkirchliche Studien 28 (1979): 168-182, here 177). On the name of the place itself, Մանազկերտ, see Hübschmann, Die altarmenische Ortsnamen, 328, 330, 449-450, and Toumanoff, Studies in Christian Caucasian History, p. 218, n. 253, who points to the name of the Urartian king Menua as the source of the place-name. We may also note the important battle fought there in 1071, with the Byzantine army defeated by the Seljuks. 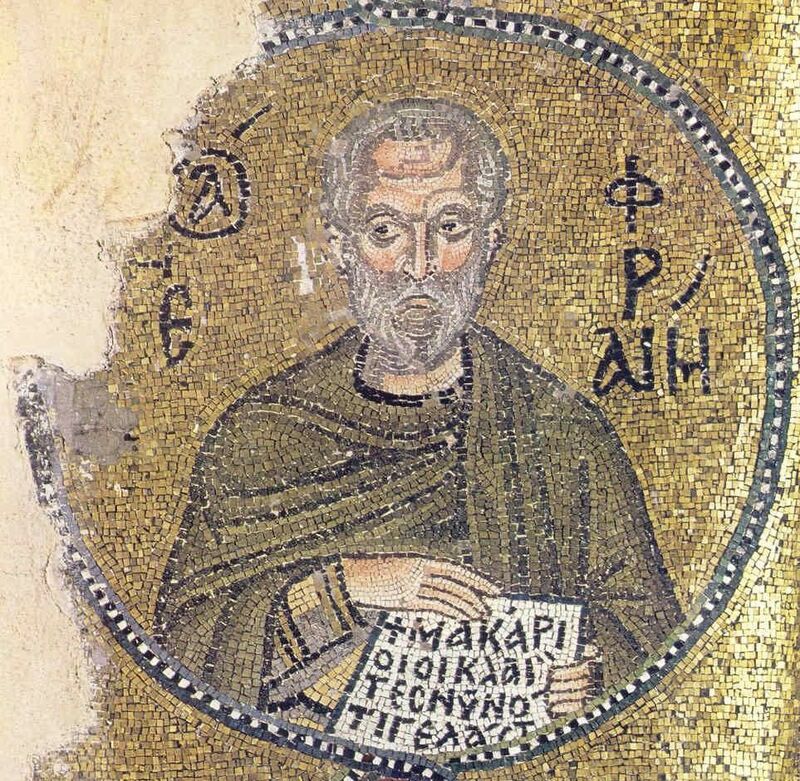 The name of the later fourth-century author and bishop Nemesius of Emesa may not often pass the lips even of those closely interested in late antique theology and philosophy, but his work On the Nature of Man (Περὶ φύσεως ἀνθρώπου, CPG II 3550), to judge by the evident translations of the work, attracted translators and readers in various languages. 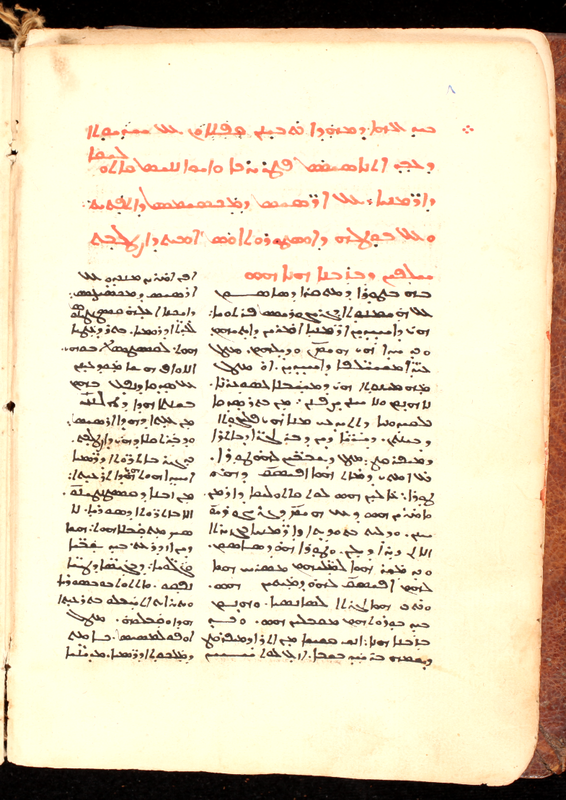 What follows are merely a few pointers to these translations and some related evidence in Greek, Armenian, Syriac, Georgian, and Latin (bibliography below), with renderings of the book’s incipit in the versions. Morani, Moreno, ed. Nemesii Emeseni De natura hominis. Bibliotheca scriptorum Graecorum et Romanorum Teubneriana. Leipzig: B.G. Teubner, 1987. Older ed. in PG 40 504-817. See Thomson, Bibliography of Classical Armenian, 40. The Venice, 1889 ed. is available here. C. Burkhard, ed. Nemesii Episcopi Premnon Physicon sive Περὶ φύσεως ἀνθρώπου Liber a N. Alfano Archiepiscopo Salerni in Latinum Translatus. Leipzig: Teubner, 1917. At archive.org here. Gorgadze. S. ნემესიოს ემესელი, ბუნებისათჳს კაცისა (იოანე პეტრიწის თარგმანი). Tbilisi, 1914. The text from this edition is at TITUS here. The translation is that of the famous philosopher and translator Ioane Petrici (d. 1125; Tarchnishvili, Geschichte, 211-225). 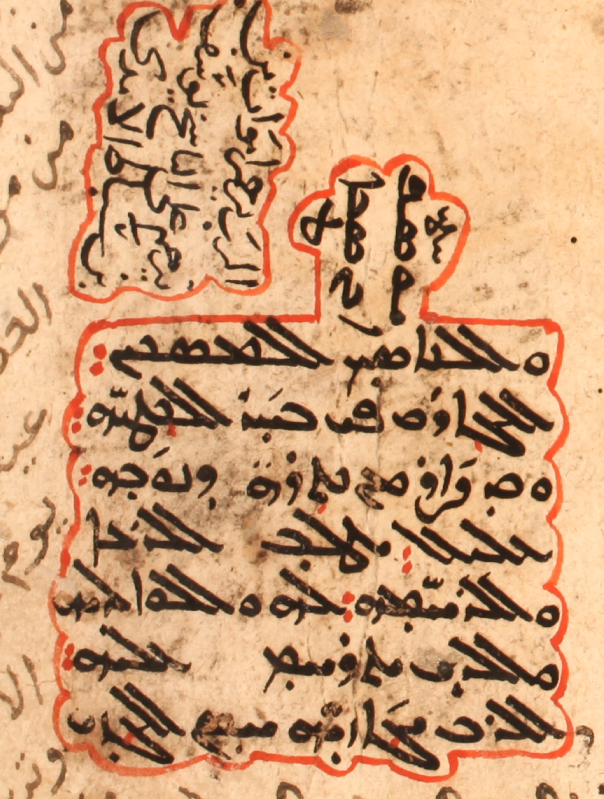 The witness to a Syriac translation is fragmentary. It has been studied by Zonta. The incipit of Nemesius’ work appears in two places, and differently. Brock, Sebastian P., ”Two Letters of the Patriarch Timothy from the Late Eighth Century on Translations from Greek”, Arabic Sciences and Philosophy 9 (1999): 233-246. Motta, Beatrice, ”Nemesius of Emesa”, Pages 509-518 in The Cambridge History of Philosophy in Late Antiquity. Edited by Gerson, Lloyd Phillip. Cambridge: Cambridge University Press, 2010. Pognon, Henri. Une version syriaque des aphorismes d’Hippocrate. Texte et traduction. Pt. 1, Texte syriaque. Leipzig, 1903. Sharples, Robert W. and van der Eijk, Philip J., Nemesius. On the Nature of Man. Translated Texts for Historians 49. Liverpool: Liverpool University Press, 2008. Zonta, Mauro, ”Nemesiana Syriaca: New Fragments from the Missing Syriac Version of the De Natura Hominis”, Journal of Semitic Studies 36:2 (1991): 223-258. Pray for the sinner who has written [it], a fool, lazy, slothful, deceitful, a liar, wretched, stupid, blind of understanding, with no knowledge of these things, [nor] more than these things, but pray for me for our Lord’s sake! Almost from the beginning of my time cataloging at HMML, I have been collecting excerpts of scribal notes and colophons that I found interesting for some reason or other, one such reason being the extreme self-loathing and self-deprecation that scribes not uncommonly trumpet. The cases in which scribes go on and on with adjectives or substantives of negative sentiment can elicit almost a humorous reaction, but scribes who do this do give their readers some semantically related vocabulary examples all in one spot! NB: If interested, see my short article in Illuminations, Spring 2012, pp. 4-6, available here, for a popular presentation on colophons. The Dormition of Mary is celebrated August 15 (for those that follow the old calendar = Aug 28 in the Gregorian calendar), so today is an opportune time to study a few lines on the Dormition from the Georgian version of Maximus the Confessor‘s Life of the Virgin, which survives only in that language. ოდეს იგი იგულებოდა ქრისტესა ღმერთსა ჩუენსა ამიერ სოფლით განყვანებად ყოვლად წმიდისა მის და უბიწოჲსა დედისა თჳსისა, და სასუფეველად ზეცისა მიყვანებად რაჲთა სათნოებათა და ბუნებისა უვაღრესთა მოღუაწებათა მისთა გჳრგჳნი საუკუნაჲ მიიღოს, და ფესუედითა ოქროანითა პირად-პირადად შემკობილი შუენიერად დადგეს მარჯუენით მისა, და დედუფლად იქადაგოს ყოველთა დაბადებულთა, და შევიდეს შინაგან კრეტსაბმელისა და წმიდასა წმიდათასა დაემკჳდროს. წინაჲთვე გამოუცხადა დიდებული იგი მიცვალებაჲ მისი. და მოუვლინა მას კუალად მთავარანგელოსი გაბრიელ მახარებელად დიდებულისა მის მიცვალებისა მისისა, ვითარცა იგი პირველ საკჳრველისა მის მუცლადღებისა. მოვიდა უკუჱ მთავარანგელოსი და მოართუა რტოჲ ფინიკისაჲ რომელი იგი იყო სასწაული ძლევისაჲ, ვითარცა ოდესმე ძესა მისსა მიეგებვოდეს რტოებითა ფინიკისაჲთა მძლესა მას სიკუდილისასა და შემმუსრველსა ჯოჯოხეთისასა, ეგრეთვე წმიდასა მას დედუფალსა მოართუა მთავარანგელოსმან რტოჲ იგი სახე ძლევისა ვნებათაჲსა და სიკუდილისა გან უშიშობისა. When Christ our God wanted to bring his all-holy and immaculate mother forth from the world and lead her into the kingdom of heaven so that she would receive the eternal crown of virtues and supernatural labors, and so that he could place her at his right hand beautifully adorned with golden tassels in many colors (cf. Ps 44:10, 14) and proclaim her queen of all creatures, and so that she would pass behind the veil and dwell in the Holy of Holies, he revealed her glorious Dormition to her in advance. And he sent the archangel Gabriel to her again to announce her glorious Dormition, as he had before the wondrous conception. Thus the archangel came and brought her a branch from a date palm, which is a sign of victory: as once they went with branches of date palms to meet her son (cf. John 12:13), the victor over death and vanquisher of Hell, so the archangel brought the branch to the holy queen, a sign of victory over suffering and fearlessness before death. The main clause of sent. 1 comes at its end, წინაჲთვე გამოუცხადა დიდებული იგი მიცვალებაჲ მისი, the temporal setting for which comes at the beginning, ოდეს იგი იგულებოდა ქრისტესა ღმერთსა ჩუენსა…. Precisely what he wishes (იგულებოდა) to do in this temporal setting is given immediately thereafter by means of two verbal nouns in the adverbial case (განყვანებად and მიყვანებად), the object of both being Jesus’ mother, only explicitly said in the first instance, and in the genitive case according to the normal construction with a verbal noun. These two verbal nouns have for their purpose (or result) five clauses following რაჲთა built with a string of aorist conjunctive verbs with either Mary or Jesus as subject. The other sentences are much simpler. Sent. 2’s main clause is მოუვლინა მას კუალად მთავარანგელოსი გაბრიელ, with the archangel being sent as a messenger or announcer (მახარებელად). This clause is correlated with the next one, ვითარცა იგი პირველ საკჳრველისა მის მუცლადღებისა, for which the same participle in the adverbial case is again understood. What I am calling sent. 3 is two compound clauses, მოვიდა უკუჱ მთავარანგელოსი and მოართუა რტოჲ ფინიკისაჲ, this last word being extended by a relative clause to state what the branch (რტოჲ) is a sign (სასწაული) of. The last sentence again has two main clauses, this time correlated by ვითარცა and ეგრეთვე. The first of these clauses has a verb with an unnamed plural agent (მიეგებვოდეს), the indirect object of which, ძესა მისსა, is extended by two appositive noun phrases, მძლესა მას სიკუდილისასა and შემმუსრველსა ჯოჯოხეთისასა, both in the dative case in agreement with the noun they further identify, while the second clause has a singular verb, მოართუა, already seen in this passage, the agent being the archangel Gabriel. In the last clause of the passage, the direct object რტოჲ იგი — in the nominative case as direct object of an aorist verb — is followed by the appositive სახე, itself extended by two genitive noun phrases (ძლევისა ვნებათაჲსა and სიკუდილისა გან უშიშობისა). The Adishi version, instead of the perfect (a-me-victum-est = vici), has the aorist ვსძლე.